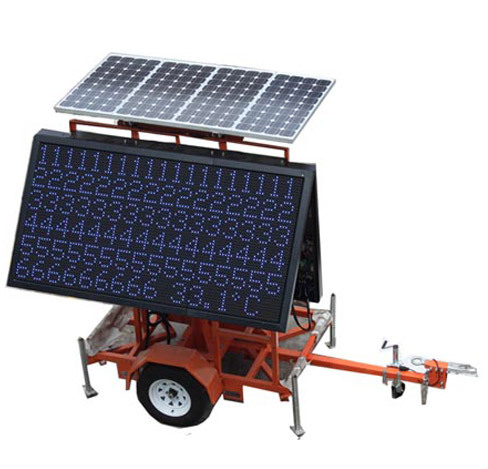 Solar Powered Trailer Display, is also called Mobile Variable Message Sign (MVMS). 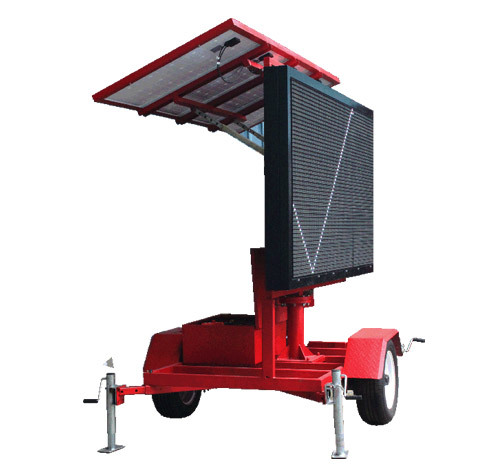 MVMS is actually a small, variable message sign installed on a mobile trailer and is often parked at the road side to release some traffic information such as texts, symbols, graphics, etc. It's used to remind drivers to pay attention to the speed, road conditions ahead, as well as weather, in order to reduce the traffic accidents. It can also display information such as notices and instructions issued by the traffic command center, effectively guide the traffic and improve the road pass through capacity. 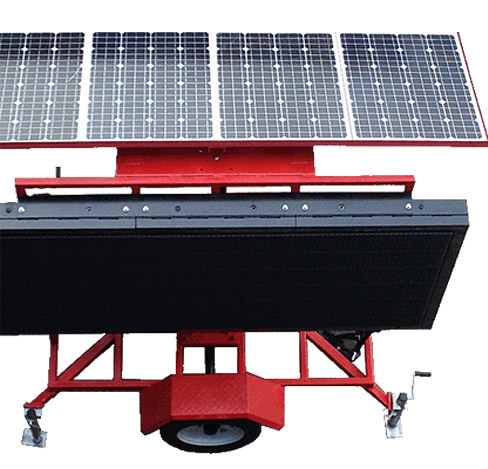 MVMS does not require laying cables and can be easily, quickly, and efficiently arranged. Not seeing the model you need? Please feel free to contact us for a custom solution to fit any location.